From bright orange to deep burgundy, those looking to become red heads have a huge range of choice available to them when it comes to the particular tone they wish to achieve. So much so, in fact, that it can be hard to know which color would be best. 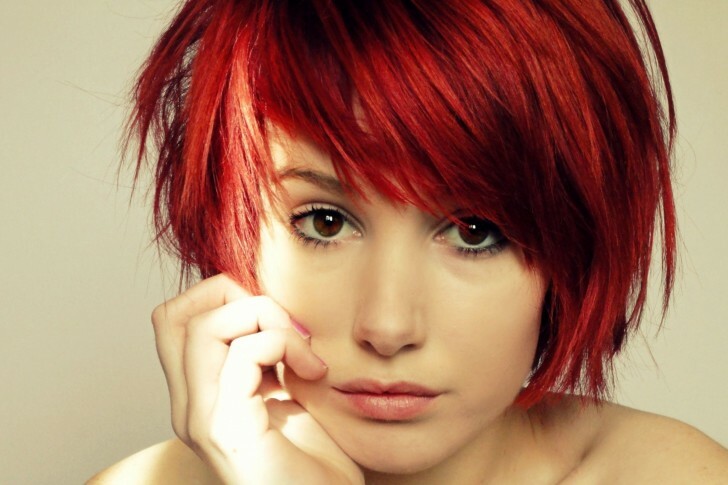 There are numerous factors to consider when looking to color your hair, whether you plan to go red or another color. Firstly, think about your skin tone. Not every skin tone will suit every hair color, so discuss your intended tone with your professional hair color specialist before making any firm decisions. He or she will be able to advise you on which shades will most suit your coloring. Think through your wardrobe too – if you love to wear bright, fire truck red clothes, a vibrant orange tone might not work well for you in terms of coordinating your hair with your outfits. Consider too whether you are going fully red or just looking to achieve accents through the use of highlights or lowlights. Depending on your natural hair color and the look you are planning to achieve, it may be that using color accents in this way will be sufficient – or you may wish to take the plunge and go straight for the full head color. When it comes to redheads, the spectrum starts out with the subtlest hints of orange tones to blonde hair. Known as strawberry blonde, this is a lovely light and fresh look that is perfect for the summer season. From there, ginger is the next step up. Ginger can be used to achieve a very natural look, in keeping with the color tones of those who are natural redheads – think of Nicole Kidman’s pale skin and light eyes and you have the perfect ginger look. For those looking to achieve something a little bolder, coppery locks may well be the answer. With brighter orange tones, copper hair can look stunning, though as mentioned above it can impact on wardrobe choices and if you are prone to blushing easily then it may not be the color for you! Actress Marcia Cross from Desperate Housewives has perfected the copper look. This is an exciting choice that expresses confidence and fun at any time of year. Going one step darker, we get to the really red reds, which are perfect for those with darker skin tones. Deep and vibrant, the look is modelled beautifully by Florence Welch of Florence and the Machine fame, while Cheryl Cole’s brief dalliance with cherry red locks last year inspired a wide range of copycat colorings. Reds of this tone speak of a bold and self-assured personality. They look great at any time of year, but particularly so during the late summer and autumn months when nature takes on similar tones. At the darkest end of the red spectrum, colors take on an almost purple hue. Reds of this nature should be avoided by those with very pale skin – they work best with olive and darker tones, producing a stunning look that is at once glamorous and daring. Whatever your preferred shade, consult with your hair color specialist before making the change to become a redhead. Not only will he be able to offer valuable insights into the best shade for your individual coloring, but he will also be able to provide advice and guidance on how best to care for your new red locks. Red hair dye tends to fade faster than other colors, so requires some special attention in order to keep the color looking its very best. The molecules used in red hair colors are larger than those used in other shades and so combine less permanently with the hair, which is why red tones fade faster. Using an enzyme-based color can help to achieve longer lasting and flawless red tones, so speak to your colorist about which brand he plans to use on your hair – Goldwell’s range comes particularly recommended when it comes to achieving long-lasting color. Goldwell’s products have the additional advantage that they nurture the hair while coloring it, so your tresses will be in tip top condition after the red has been applied. Think too about the shampoo and conditioner that you plan to use. Here at Sachi Studio's we recommend the Oribe range of color-fast shampoos, which are known for helping colors to look vibrant for longer. An intensive conditioning masque, applied every few days or once a week, will also help to ensure that your hair’s color and condition are maintained for as long as possible.